Item # 314896 Stash Points: 9,995 (?) This is the number of points you get in The Zumiez Stash for purchasing this item. Stash points are redeemable for exclusive rewards only available to Zumiez Stash members. To redeem your points check out the rewards catalog on thestash.zumiez.com. Complete your active lifestyle with G-Shock's new line of GDB800 watches. 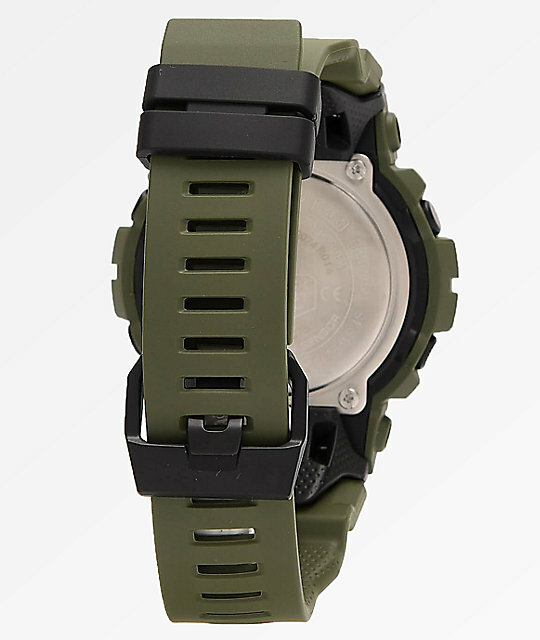 These digital watches are made for lightweight athletic performance while also being able to withstand tough conditions. 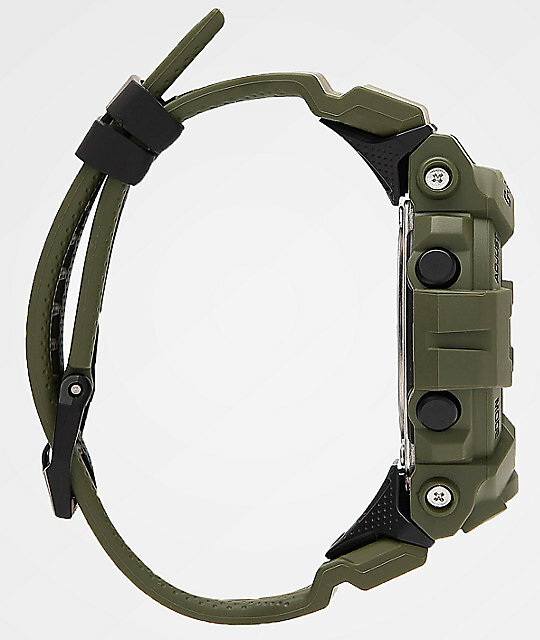 Featured in a dark green, matte colorway, this digital watch acts as a personal training companion and has been made with Bluetooth capability that easily connects to your mobile phone via the brand's app helping you stay fit and reach your goals! 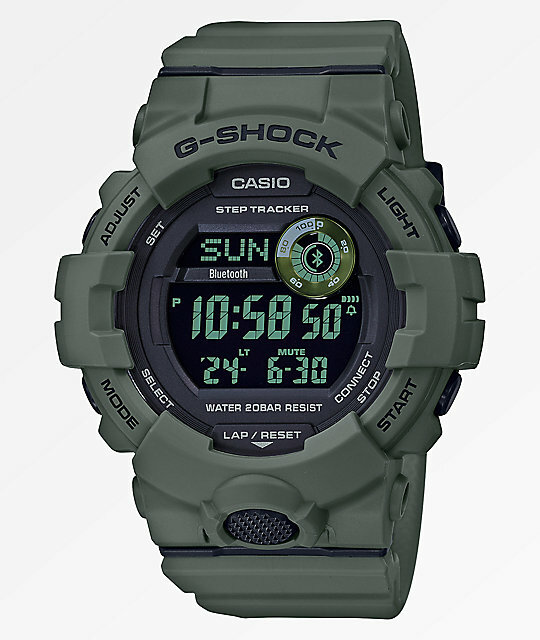 GBD800 Olive and Black Digital Watch from G-Shock.